Christmas is in two weeks! If you're still looking for easy recipes for your Christmas dinner, this Chicken Asparagus Roll-Ups is perfect! It's very easy to make yet so tasty and elegant looking. The best thing is you can prepare it ahead of time. This is very much like the Chicken Cordon Bleu that I have featured here before. The main difference is the filling. 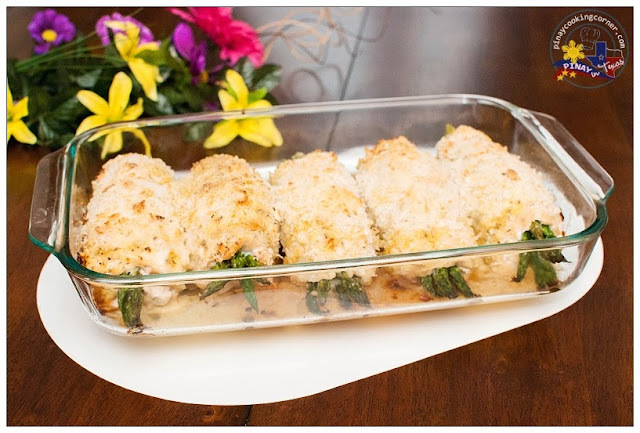 While Chicken Cordon Bleu has ham and cheese, this Chicken Asparagus Roll-Ups has asparagus and cheese. I got this recipe from allrecipes a few years back and this has been a family favorite since then. Because I don't usually have tarragon in my kitchen, I use Herbes de Provence as substitute and I must say, it works well. As for the filling, I sometimes add carrot sticks to make it colorful. We usually eat this with buttered mixed vegetables and rice, but it's perfect with salad or mashed potatoes too. We all love this! I'm pretty sure you will love it too! 1. Preheat oven to 475 degrees F. Lightly grease a baking dish. In a bowl, mix together the mayonnaise, Dijon mustard, lemon juice, lemon zest, herbes de provence, 1/2 tsp salt, and pepper until the mixture is well combined. Set aside. 2. Cook asparagus in boiling water for about 1-2 minutes or until bright green and just tender. Set the asparagus spears aside. 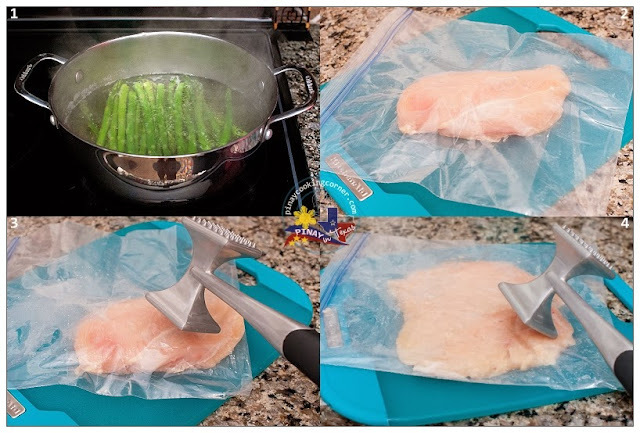 Place a piece of chicken breast in a resealable bag. On a solid, level surface, firmly pound the chicken breast with the smooth side of a meat mallet into about 1/4 inch thickness Repeat with the rest of the chicken breasts. 3. 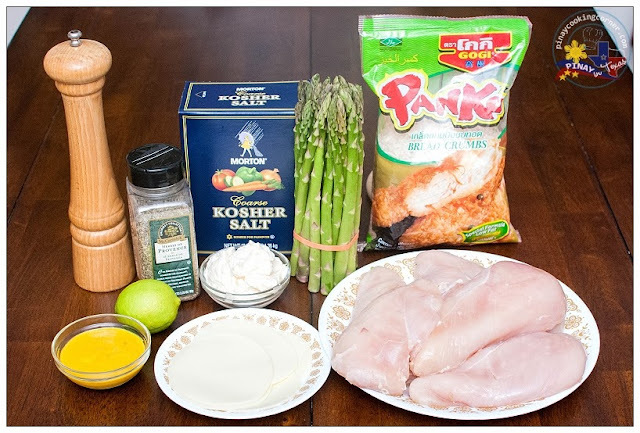 Season each chicken piece with salt and garlic powder. 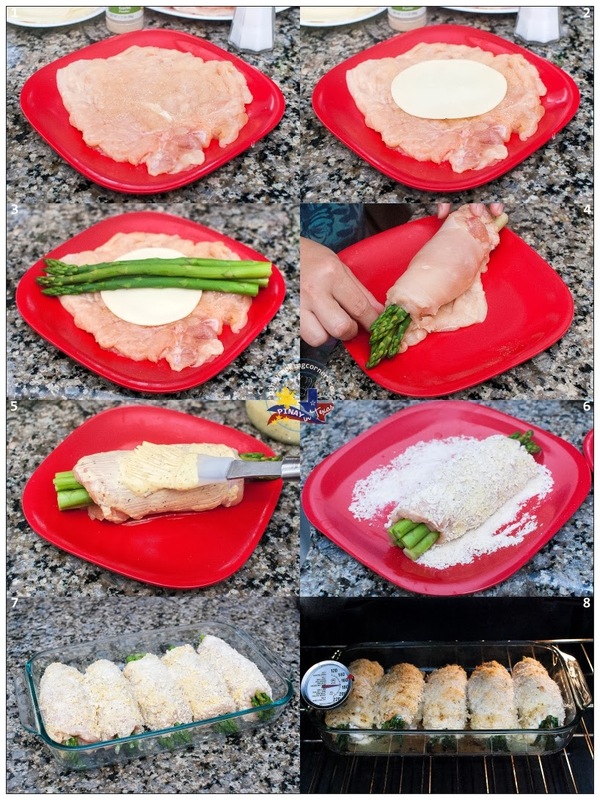 Place 1 slice of provolone on each chicken breast, and top the cheese with 4 or more asparagus spears per breast. Roll chicken, making sure you tuck the sides in. Secure the roll with toothpicks. 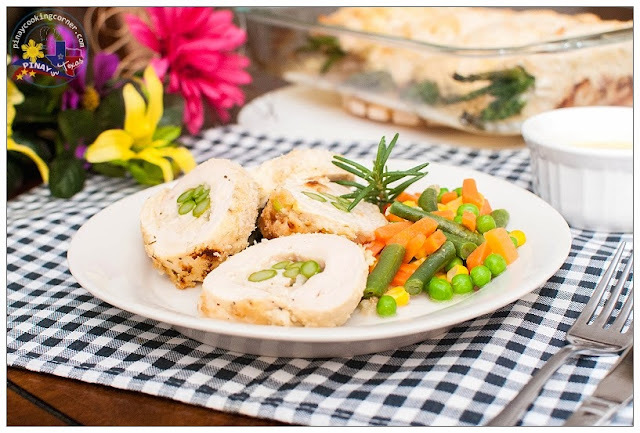 With a pastry brush, apply a coating of the mayonnaise mixture to each chicken breast. Sprinkle each roll with panko crumbs, pressing the crumbs into the chicken to make a coating. Arange rolls in prepared baking dish. Bake in the preheated oven until the crumbs are browned and the chicken juices run clear, about 25 minutes. 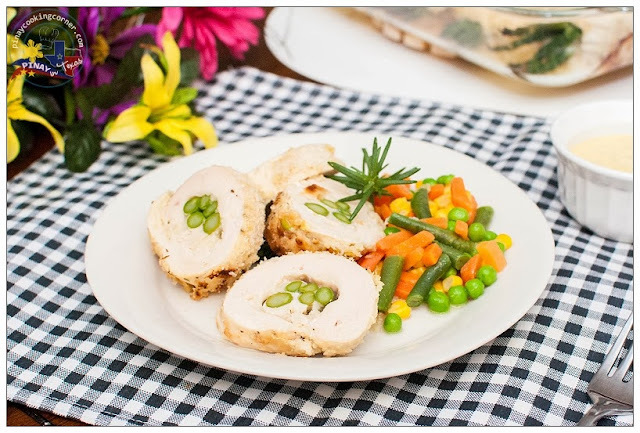 Looks like chicken cordon bleu but different filling! Will definitely try it!